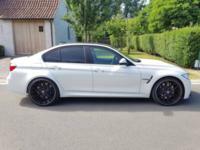 CAVARO is a worldwide known for its custom made wheels for the most exotic brands. With over 40 years of experience in the wheel business, we can offer our customers, a superior quality and finish. We have a wide variety of colours and finishes. 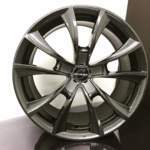 This way we can provide the perfect wheel for your sport, ecological, family, SUV or exotic car. Next to our top-of-the-bill CNC machining facility, we have a huge stock available to deliver our wheels in a very short amount of time. With the highest standard of precision, we work with the same machining equipment as NASA or Boeing. Just to deliver the perfect wheel for you. We do not use plastic rings that can cause vibrations on the steering wheel. We only work with a perfect fitment for every car, every time. We have a very high standard for the finish of our wheels. We demand the same standard from our suppliers. For that reason, we only work with the best manufacturers in the world.